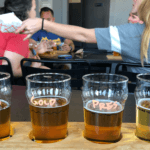 Planning a good ol’ fashioned Memphis bachelorette party? 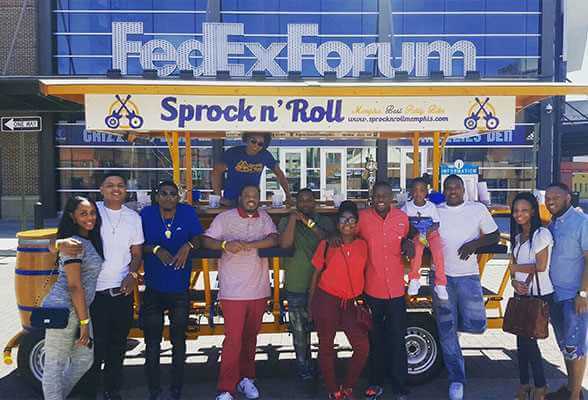 Look no further if you are hosting or looking for a fun activity for a Memphis bachelorette party. 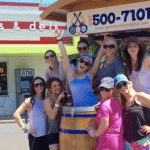 Bachelorette parties are one of our most popular activities because they are a blast on our bikes! 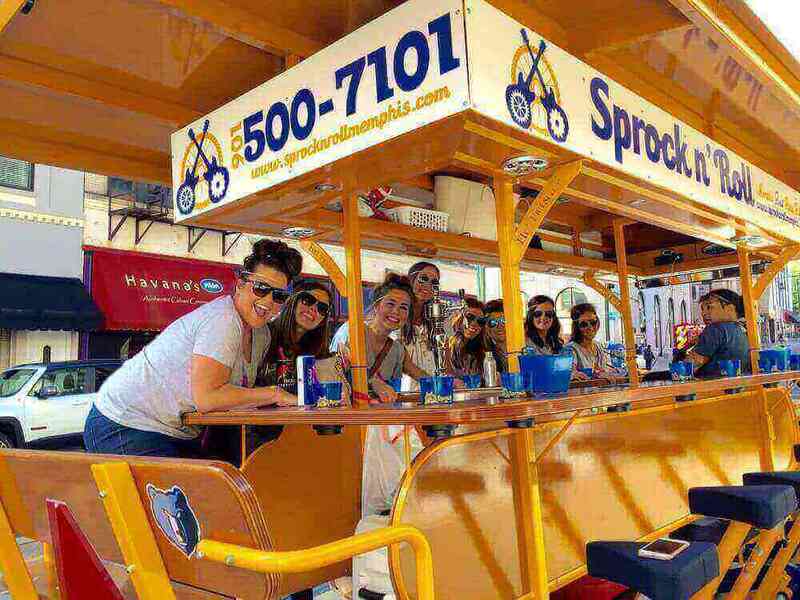 Our party bike tours are perfect for the bride who is more excited for her Memphis bachelorette party than the actual wedding! What can be better than sipping cocktails in the open air while singing your hearts out and laughing with your best gal pals? 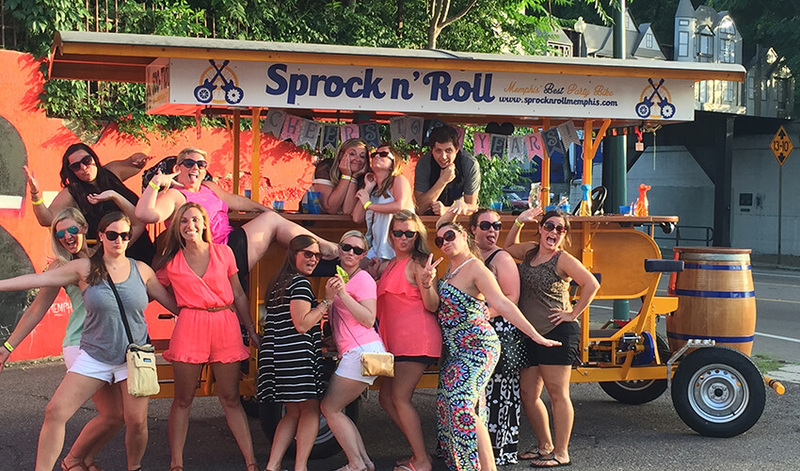 Our drivers can double as photographers – get great group photos (on and off the party bike), drink, pedal, and party! Book Sprock n’ Roll before walking down the aisle and saying I do, because your girl gang is one of a kind. Say “yes” to the best 2 hours of your still single life! Bring street appropriate decorations and let the good times Sprock n’ Roll! 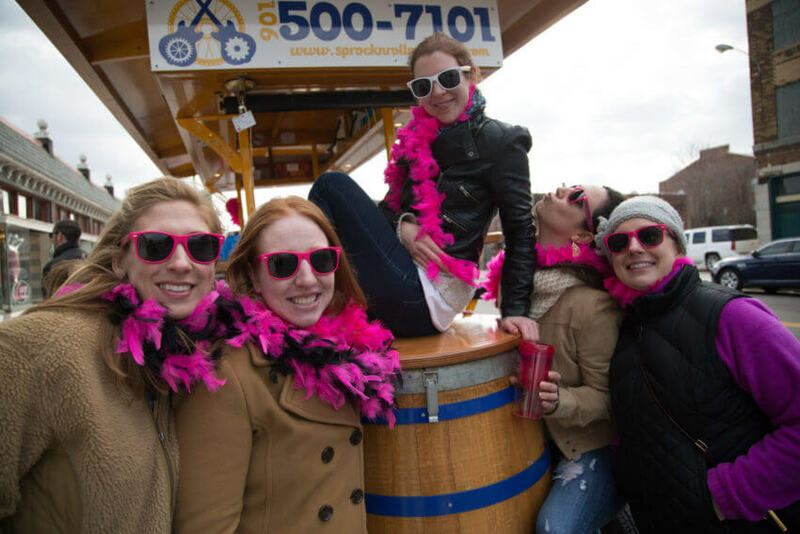 Check out our blog on planning the perfect Memphis bachelorette party! Bring the bride’s favorite drinks! You are allowed to bring any bevvies you want – as long as they are not glass! Create a playlist perfect for a party – we suggest a healthy mix of boot-stompin’ country and booty-shakin’ pop. The discounts are real! Don’t bring so many drinks that you don’t have room for the amazing drink discounts we have with our bar partners!